Don DeBiase was born and raised in Englewood, NJ. He grew up listening to the iconic New York City Top 40 radio stations like WABC, WMCA, and WINS. This influenced his decision to major in communications at Graham College in Boston, MA. Don has worked at radio stations in Virginia, Florida, Kentucky, and North Carolina. He and his family moved to Brevard in 1991 where he currently resides. 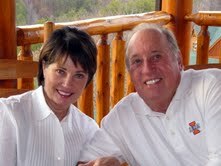 Don is now the General Manager of WSQL-AM and hosts the weekday morning show weekdays from 6a - 9a. Click here to email Don. 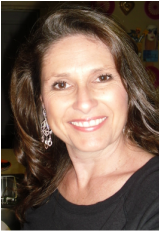 Kimba Colley is new to radio but not the mission of WSQL 1240. As a writer, poet, and philosopher; Kimba's personal mission, in tandem with that of WSQL 1240, is to report not only the news, weather, community and music events, but to become an integral cog in the wheel of our community, providing a link and a voice for all the latest information important to our listeners. Kimba is the News Director for WSQL and is on live with Don DeBiase every weekday morning from 7:00-9:00am. Got a hot news tip? A topic you would like to know more about? An event for our Community Calendar? Chris Kelly grew up idolizing the legendary voice of the Tar Heels' Woody Durham and the late Bob Fulton of the South Carolina Gamecocks. 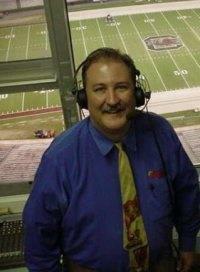 The great voices of ABC, NBC, and CBS Sports Commentators have all influenced this Asheville native, who is currently "living the dream" here at WSQL 1240 AM radio. Chris is the play by play voice of the Brevard College Tornados and covers the Sports for the Don DeBiase show every weekday morning at 6:45 and 8:35 am. Chris lives in Asheville with his wife Jane, and their children; Zach, Johnny, and Angel. Bill is probably the only Western North Carolina native at WSQL 1240!!! Born and raised in Tryon, North Carolina, Bill started in radio in the mid '70's and worked in the Carolina's, Louisiana, and St. Croix in the U.S. Virgin Islands. 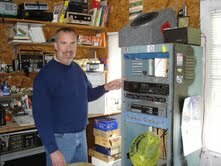 Bill is very active in Amateur (HAM) Radio. Bill is WSQL's Program Director and always enjoys hearing from our listeners! Bill has called Hendersonville his home since 2002. Garry Paddick and his wife, Paula, the co-author of G.R.I.T.S. (Girls Raised In The South), moved from Birmingham, Alabama to Brevard in 2009. Garry grew up listening to The Grand Ole Opry, Ernest Tubb's Midnight Jamboree, and a host of country music radio programs. He has quite a collection of classic country music from the 50's, 60's, 70's, and 80's that he shares every Tuesday night on his WSQL Country Legends program. Mike "Bucket" Maybin is from Woodruff, SC, but grew up in Brevard and attended Brevard High School. 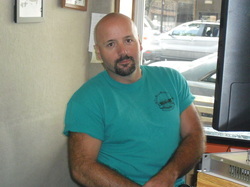 "Bucket" is the host of the "Carolina Country Nights" Program every Thursday from 8pm-10pm. Co-hosting with "Bucket" are his son, Marcus "Madman" Maybin of Rosman High School and his daughter, Grace "The Diva" Maybin, of Rosman Middle school. "Bucket" is also the Board Operator for remote events such as football games and festival events throughout the year.